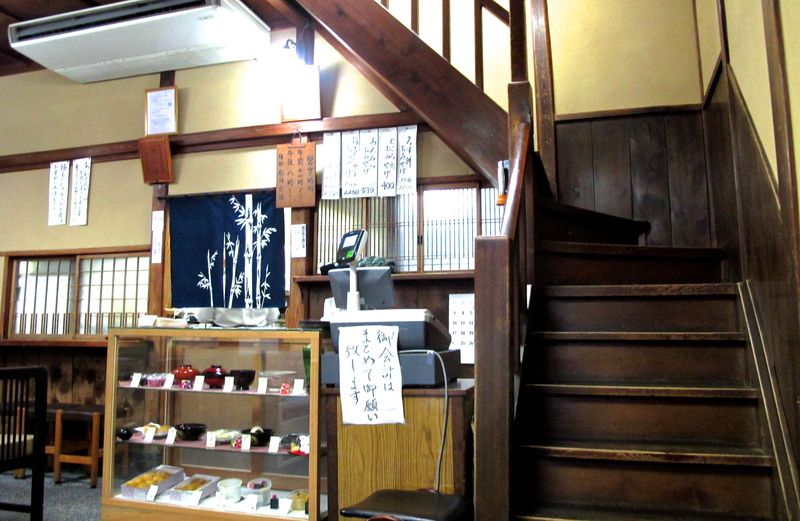 Sweetshops don’t get much more traditional than Takemura; inside and out it is a classic. 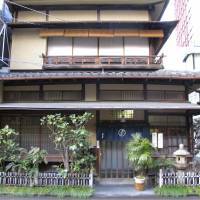 Founded in 1930, this handsome two-story wooden building has stood untouched in the backstreets of Kanda-Sudacho, with its stone lantern, shrubs, the little palisade of bamboo and verge of greenery. It’s not just the architecture that sets it apart. 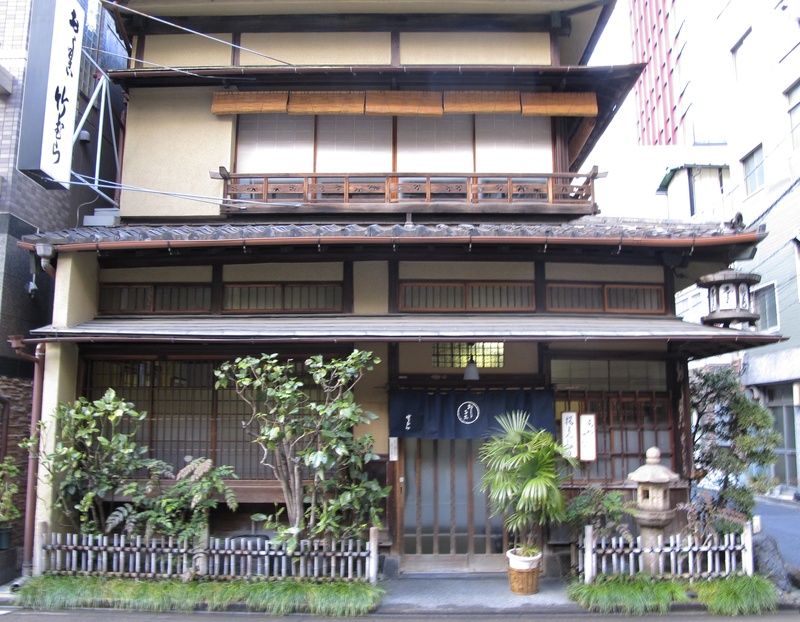 Yes, this is the way most of Tokyo used to look back in the day. However, it’s no musty museum piece. What makes it truly remarkable is that it operates at exactly the same rhythm as you’d have found 30, 50, 80 years ago — and with just the same menu. Duck under the small noren half-curtain, slide open the door and install yourself at one of the impeccably polished tables. 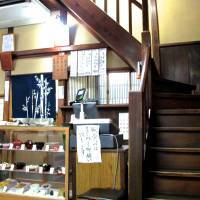 You have a choice between chairs in the main area or zabuton cushions in the raised tatami room to one side. 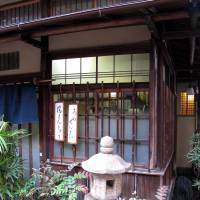 Whichever, you will be served a small cup of tea to sip on as you peruse the short menu. 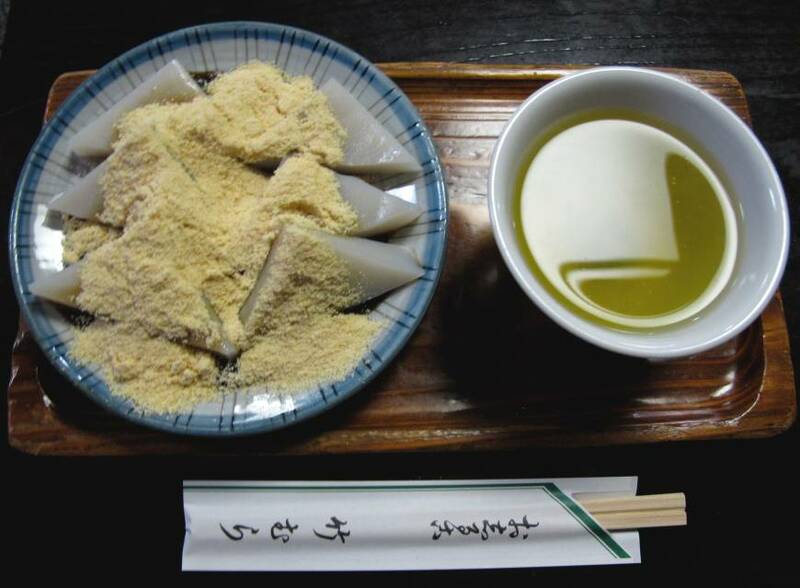 Mostly made without dairy or wheat flour, traditional Japanese sweets exist in their own parallel universe of sweetened red beans, mochi (dumplings of pounded sticky rice) and kanten (a clear, virtually flavorless jelly derived from tengusa seaweed). 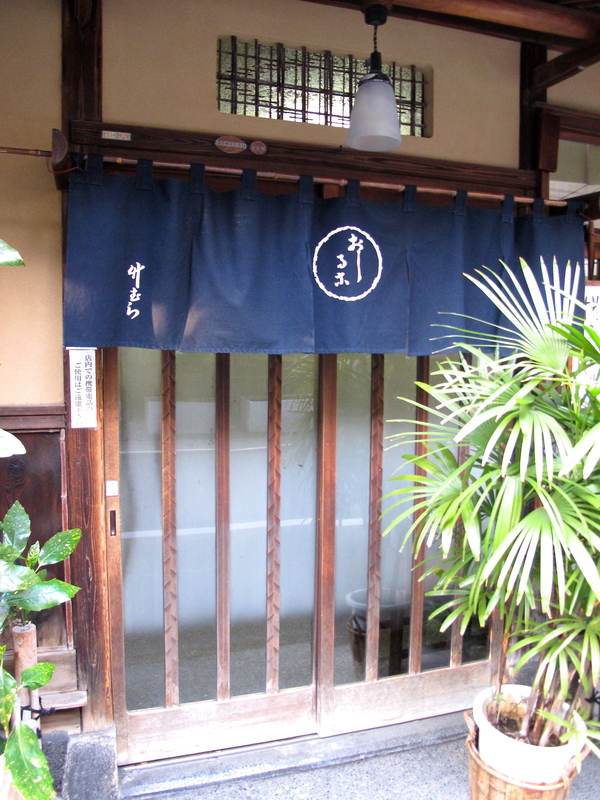 In the heat of summer, one of the most refreshing sweets at Takemura is the kuzu mochi. 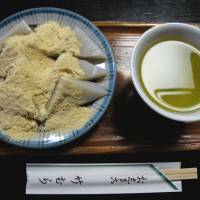 These triangular wedges of clear starch — in this case sweet-potato starch rather than actual kuzu root — are sprinkled with a generous mound of kinako, the flour of roasted soybeans. Drizzle on thick black-sugar syrup for extra sweetness. If that does not appeal, there’s always ice cream, with or without cream soda. Those are about the only concessions to Western tastes. In Takemura’s little time bubble, you’d never know you’re just minutes away from Akihabara and its electronic cosplay-anime frazzle. Which is really the parallel universe? 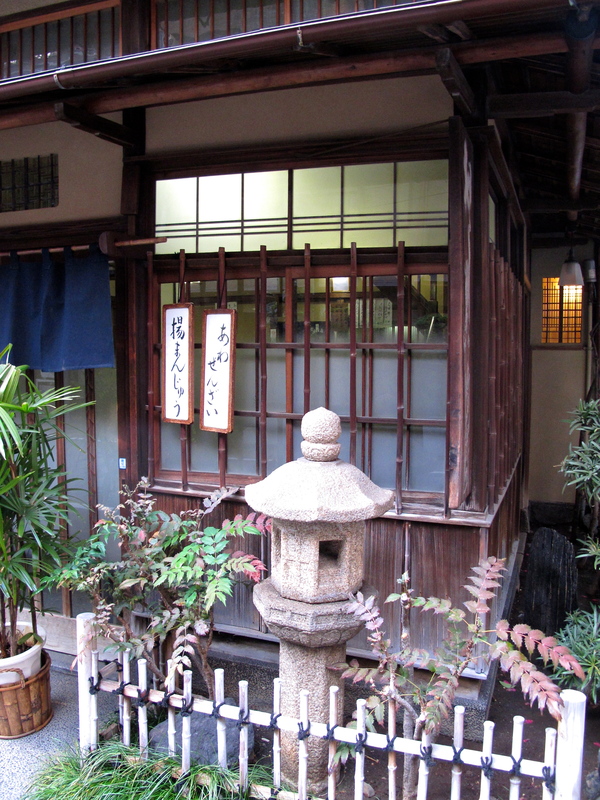 Takemura: 1-19 Kanda-Sudacho, Chiyoda-ku, Tokyo; 03-3251-2328. Nearest stations Ogawamachi (Shinjuku Line) or Awajicho Marunouchi Line). Open 11 a.m.-8 p.m.; closed Sun. and holidays.